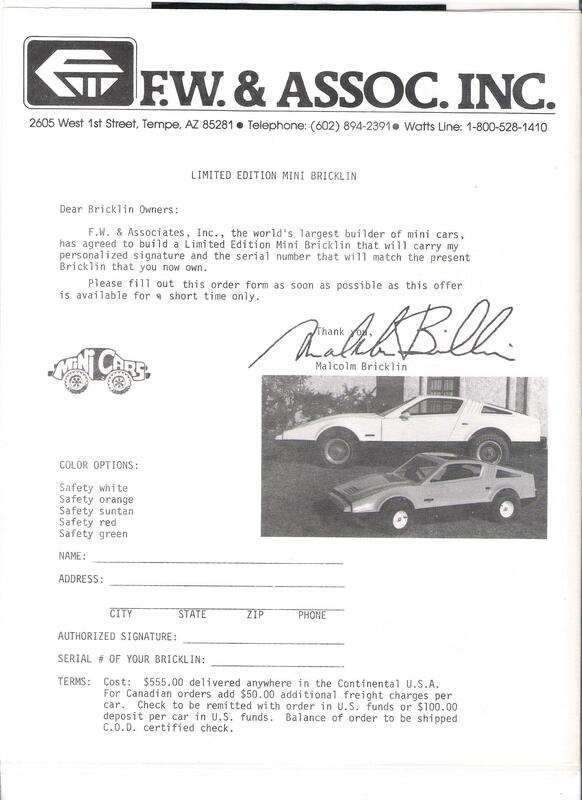 If you were a member of Bricklin International in 1978, in one of the quarterly magazines they put out, you received a one page flyer about the Mini Bricklin. 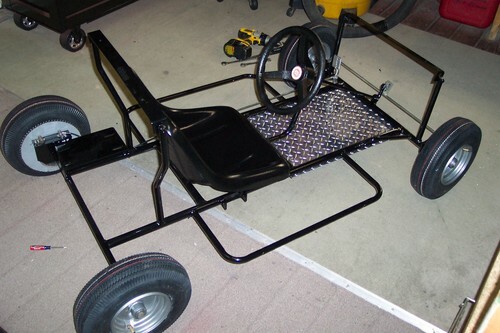 These were available for a short time only, and made by F.W. & Associates Inc., in Tempe, AZ. 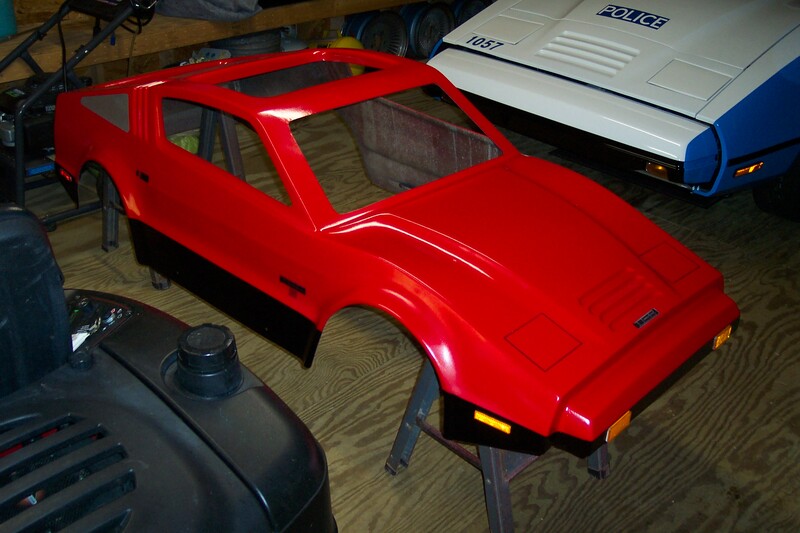 The cost was $555.00 new, and the Mini Bricklins were available in all 5 original Bricklin Safety Colors. 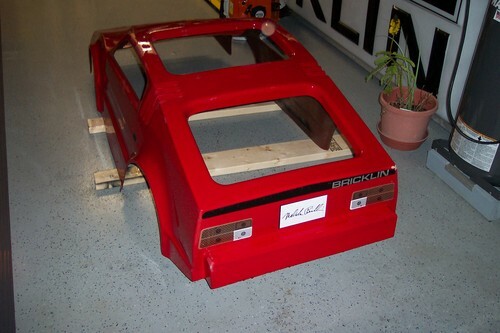 There are no official production records that I have seen, but it is thought production of the Mini Bricklin was around 47 - 49 examples. These were essentially a go kart with a small Bricklin style body, powered by a 3HP Briggs & Stratton engine. 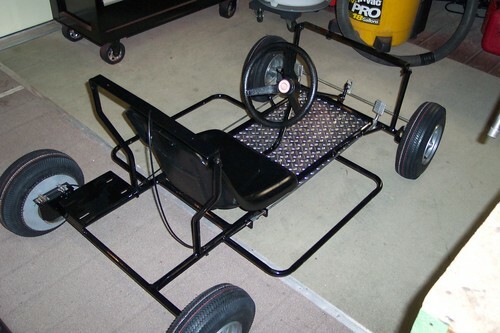 These were not made for adults, as most adults would not fit into one, but were more suited for children. F.W. & Associates is no longer in business from what I understand, and the Mini Bricklins are in demand today. Kerry Stark located the one on this page, purchased it, and restored it. 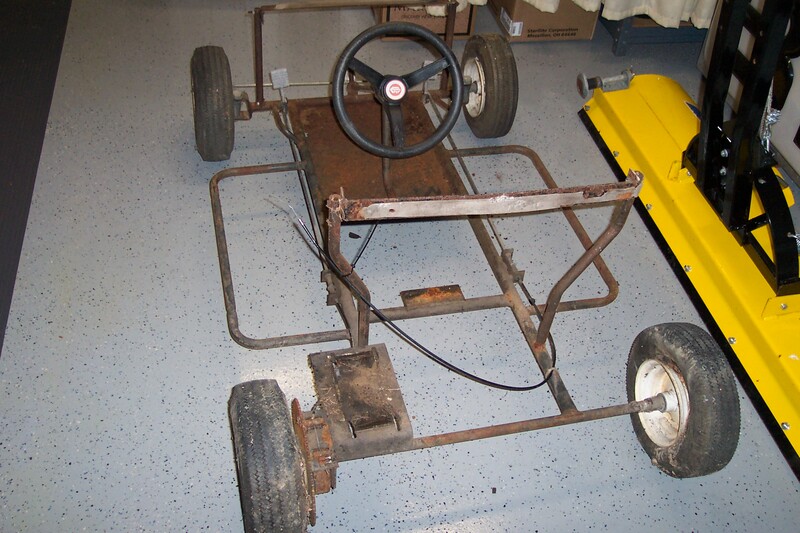 Kerry did not restore it as an original looking show piece, but for his grand kids to play with. It sure looks like a show piece to me ! Kerry mentioned that he has seen about half a dozen of these in the last 10 years. Sometimes the bodies show up in rough shape, with the rest of the Mini Bricklin missing. 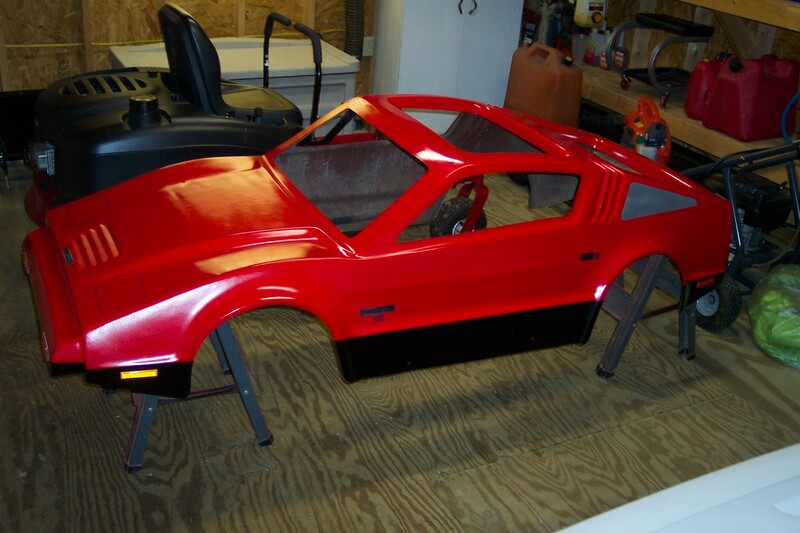 It is said that most owners who have one will not part with their Mini Bricklin. I have only ever seen one example in person. It was back in 1981. The owners of Bricklin VIN 122 had bought a Safety Red Mini Bricklin to go along with their Safety Red Bricklin VIN 122. 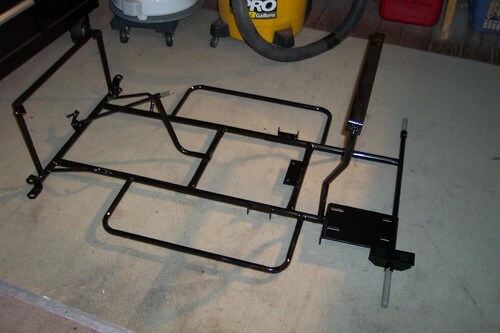 Many thanks to Kerry Stark for sharing photos and information. 1978 Original flyer for ordering a Mini Bricklin. Click the photo 2 times for easy reading and viewing. 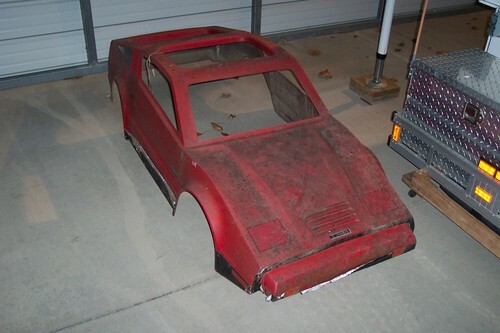 When found the body was off the frame of this Mini Bricklin. Surface rust on the frame. 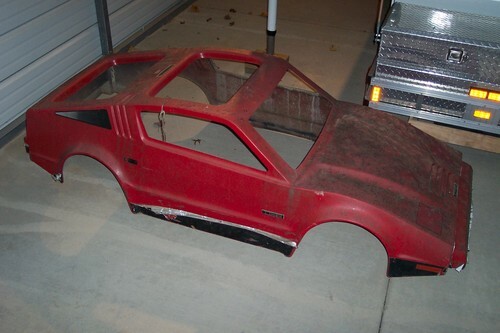 The Mini Bricklin had been in outside storage. 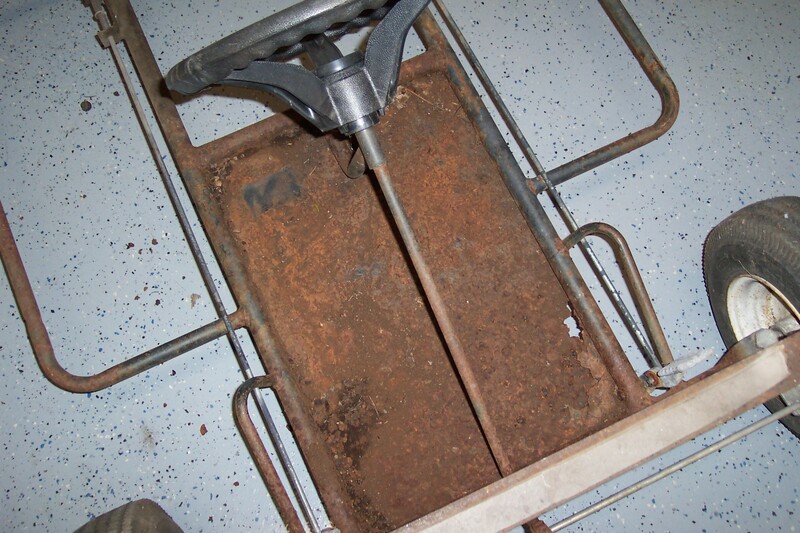 The floor pan had more serious rust, including a rust thru hole. 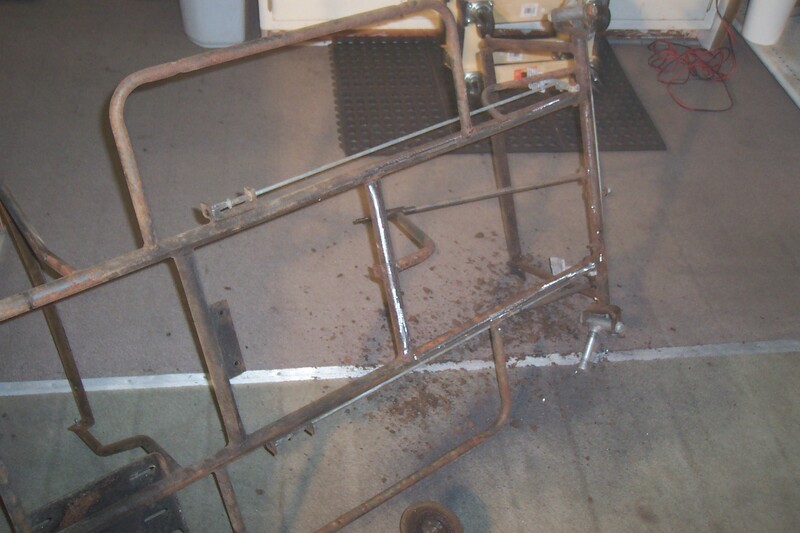 Frame on its' side prior to restoration. Original 3HP Briggs & Stratton engine in rough shape. 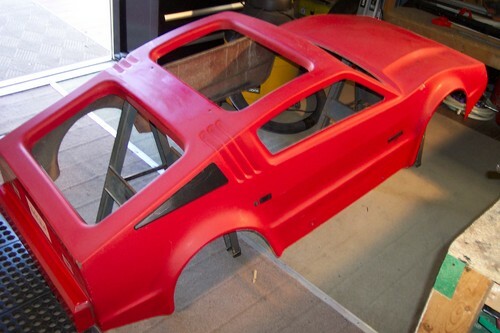 Original Mini Bricklin body prior to cleaning. 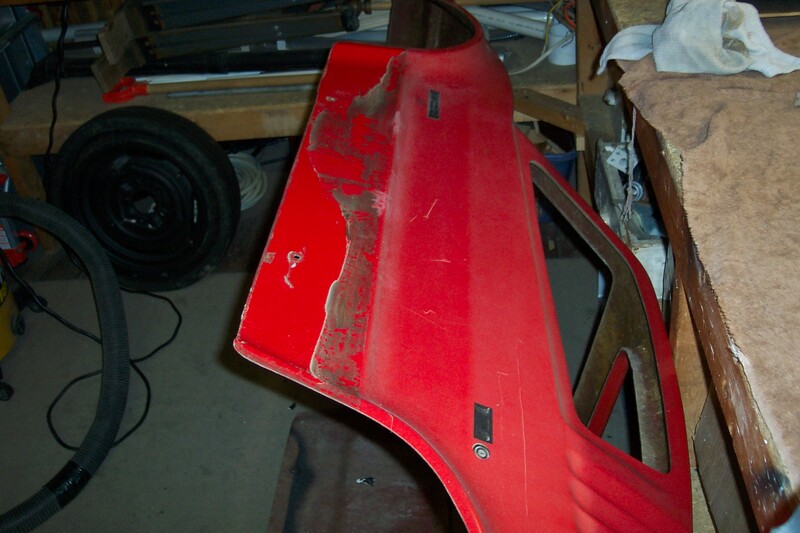 Front detail prior to restoration. 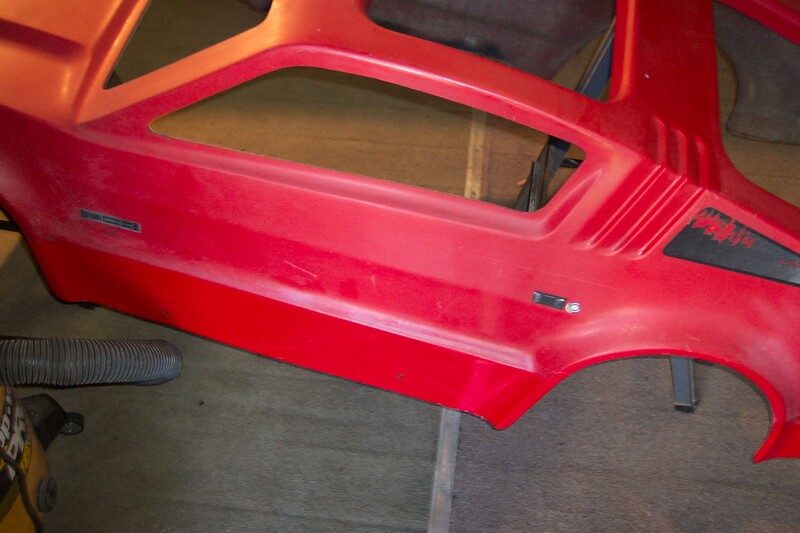 Restoration underway, Black lower valance sticker removed. 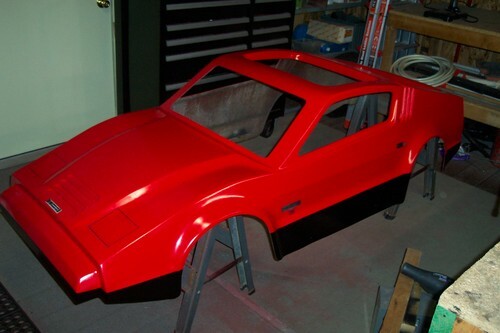 After cleaning the Mini Bricklin body shows its' true color !!! Rear view after cleaning. 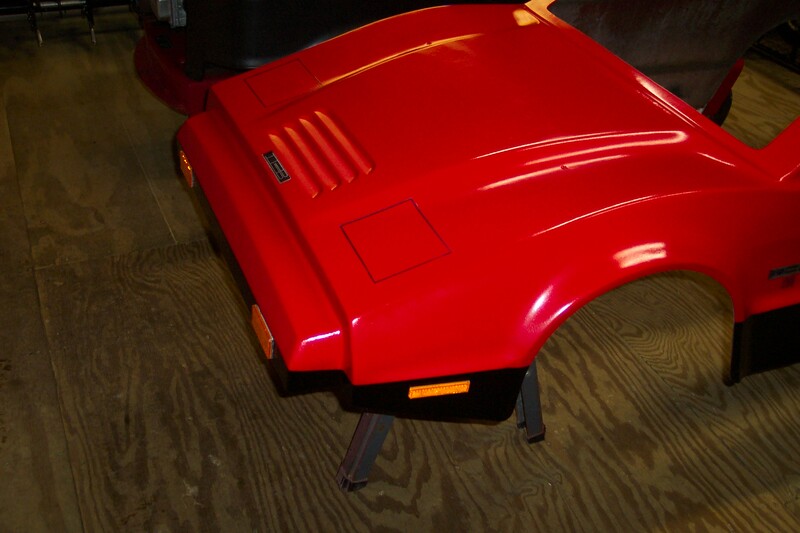 Fortunately some of the stickers on the Mini Bricklin were still in good shape, and some were no longer usable. 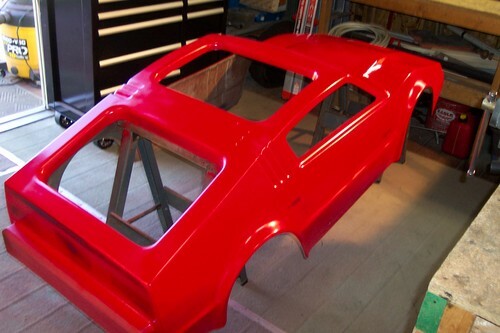 New paint on the body !!! Progess !!! Color looks very close to the original !!! 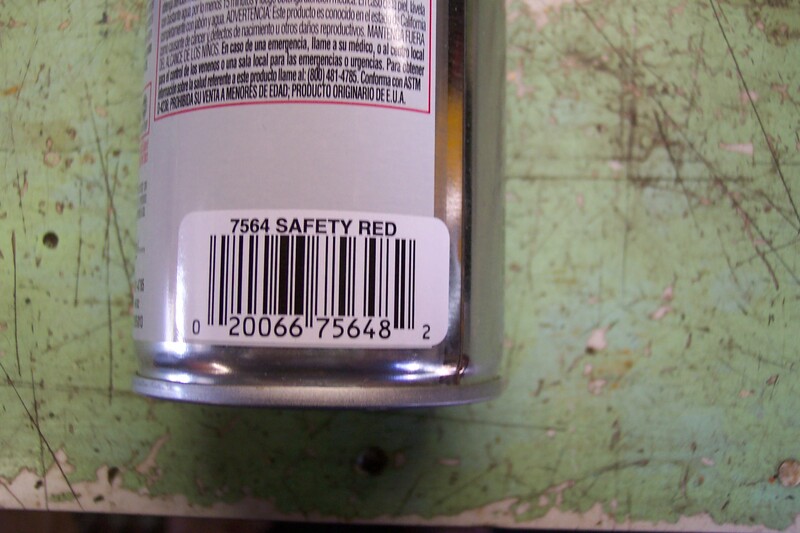 Kerry used an off the shelf can of Rustoleum paint for the body ironically named: Safety Red !!! Black detail and trim going on the body. 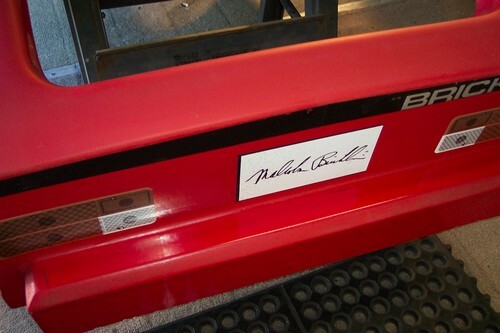 Rear bumper painted black. 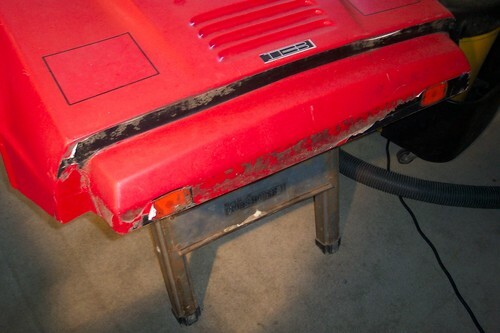 Fortunately the rear decals were in good shape. These would have been very difficult to reproduce. 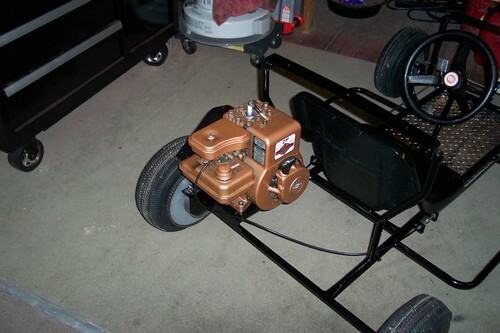 Side amber lights and front bumper turn signals in place. 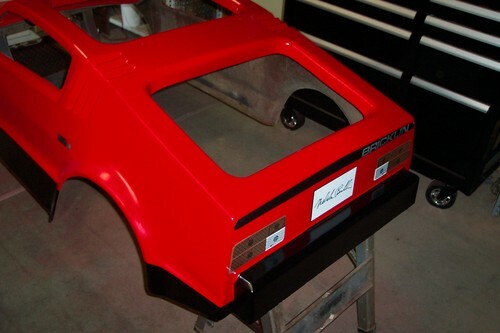 Right front quarter view - looking super !!! 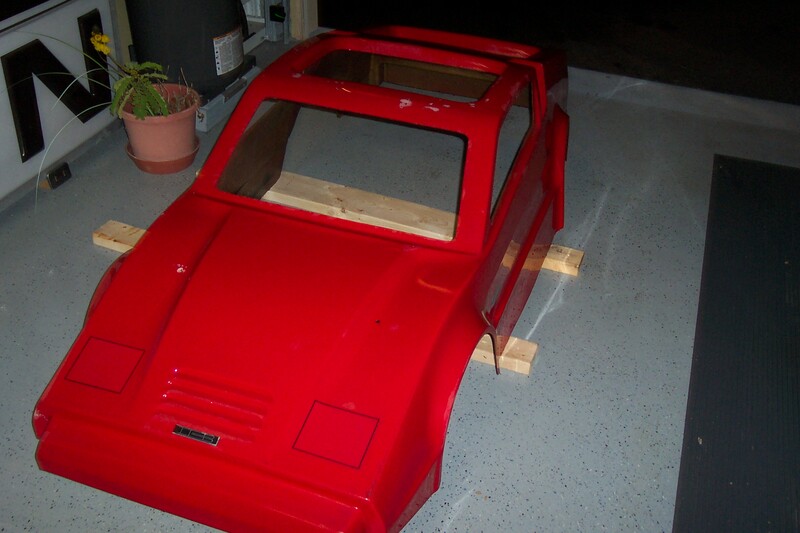 Restored side view of the Mini Bricklin body. Restored Mini Bricklin frame. Instead of black paint, the frame was powder coated using black. New diamond plate floor installed. 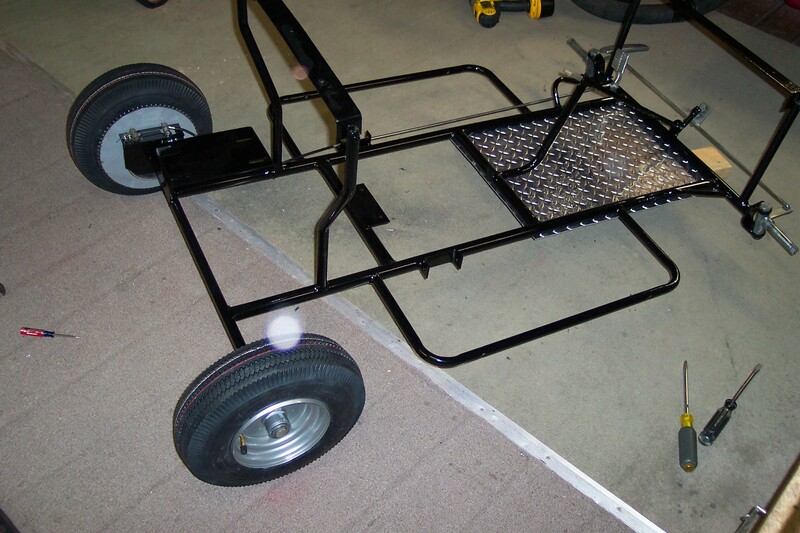 Wheels installed. When the Mini Bricklins were originally built, the wheels were painted white. Kerry finished these in silver for a more realistic look. 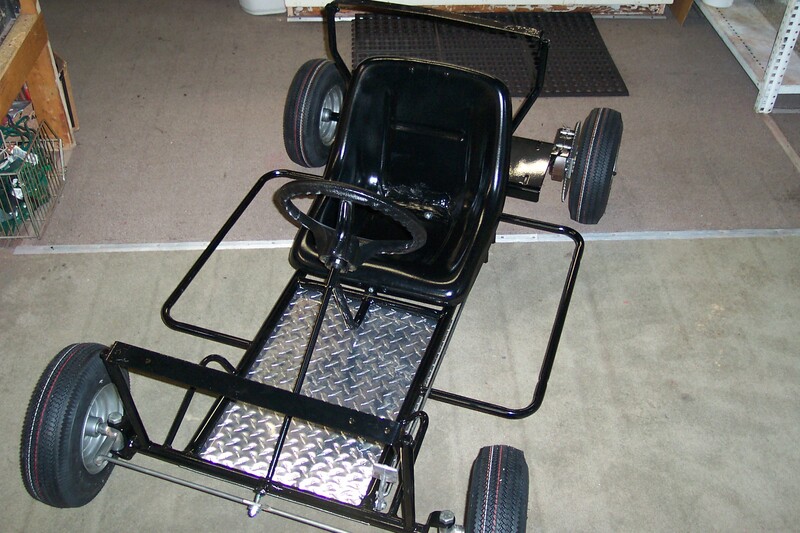 All 4 wheels, seat, and steering wheel, restored and installed. 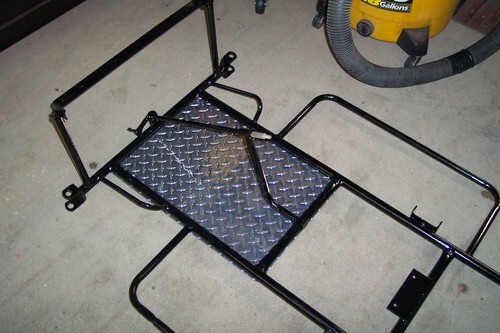 View from the front of the restored frame. 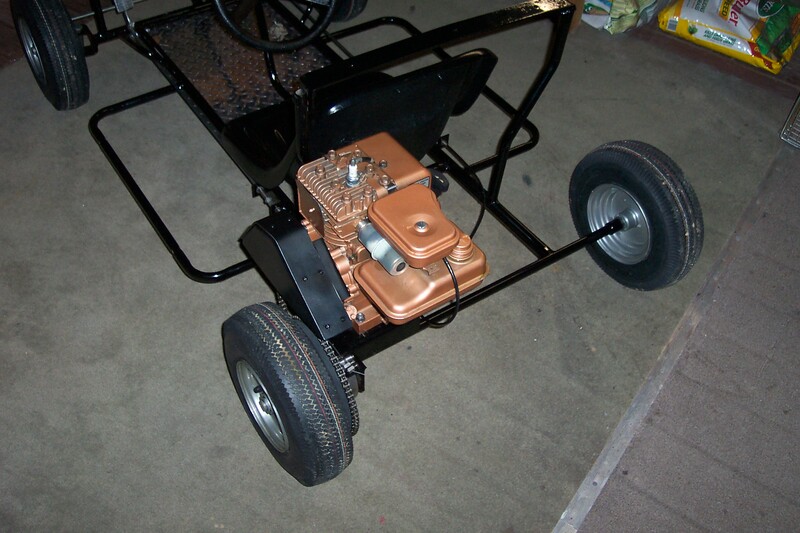 Awaiting installation of the engine. 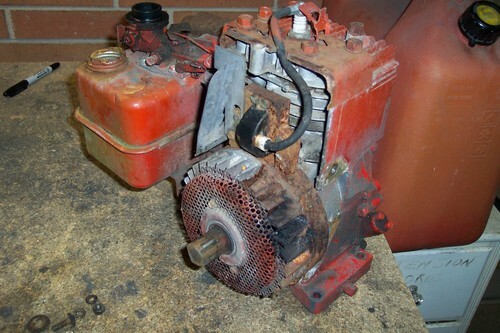 Kerry located a hardly used 1976 2HP Briggs & Stratton engine for the restoration. Engine installed on the frame.